As the Mexican economy has grown and evolved, issues such as regulation, credit information services, and development of microfinance skills have become increasingly important—particularly since microentrepreneurs and households have been hard hit by the inherent volatility in agricultural production and the economic crisis of the mid-1990s. 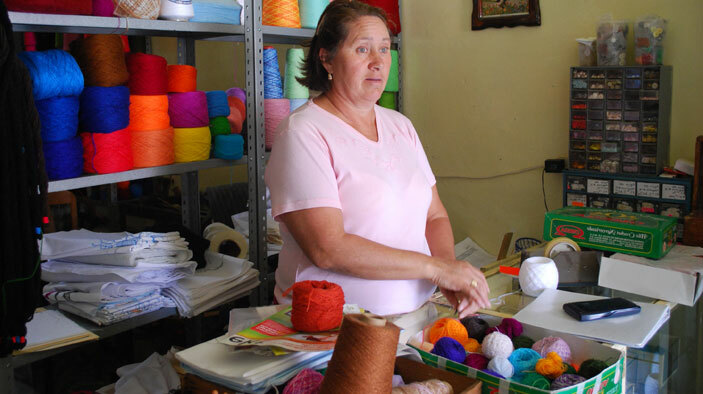 The AFIRMA project built an inclusive, sustainable microfinance sector in Mexico as a means to increase access to a range of financial services and thereby spur local economic development. Strengthen the institutional capacity of partner microfinance institutions (MFIs) to promote the expansion of financial services to underserved and rural markets by providing targeted technical assistance, training, and grants to financial institutions. Spur innovations to expand access to rural and agricultural financial services. Boost the capacity of government agencies that support the industry, and improve the legal, regulatory, and supervisory framework in Mexico through regulatory reform and policy dialogue. Partner MFIs served a total of 1.27 million additional active credit clients in 2009, a 180 percent increase above the December 2004 baseline. Rapid growth of project partner financial service providers during the first three years: 200 percent increase in total outstanding loan portfolio, 180 percent increase in active loan clients, 90 percent increase in active savings clients. Partnership with the Comision Nacional Bancaria y de Valores adjusted regulation under the Popular Savings and Credit Law, resulting in the official recognition of microcredit as a distinct risk category. Partnership with the Banco de Mexico (Central Bank) reviewed the role of credit bureaus in dynamic economies and compared that role with the situation in Mexico. Work with credit bureaus also lowered the cost of reports for MFIs and in services designed specifically for microfinance. Partnership with the National Microenterprise Finance Program designed and delivered training courses, seminars, and national conferences for 70 Mexican institutions. Partnership with the Instituto Politecnico Nacional developed a university-level popular finance education and internship program for students and professors.